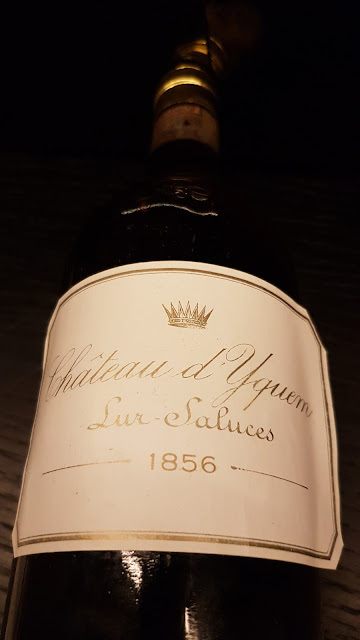 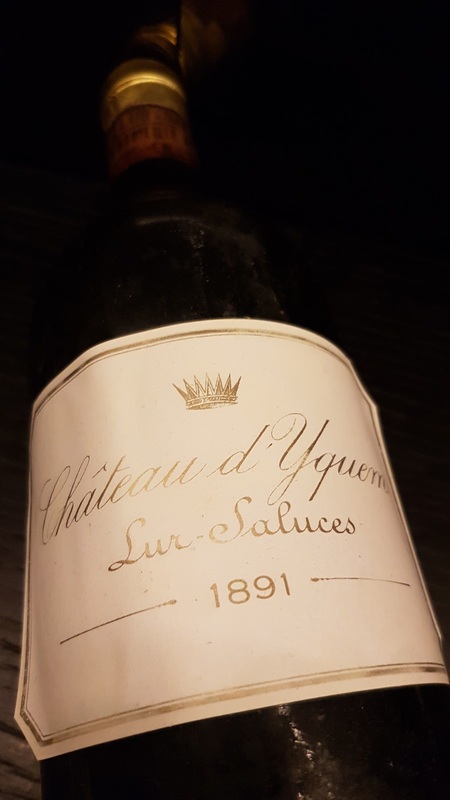 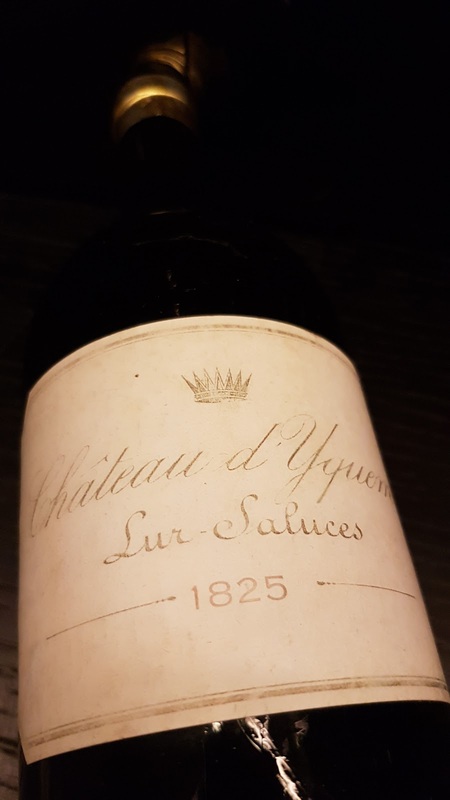 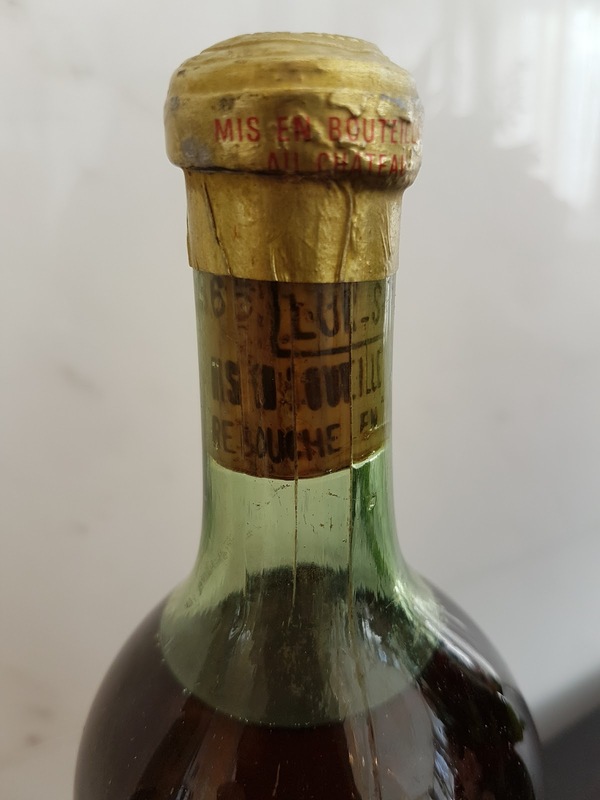 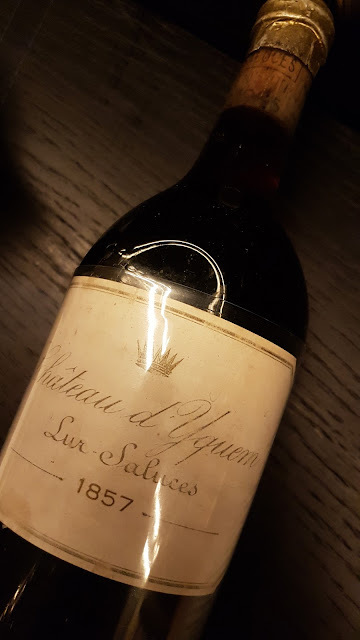 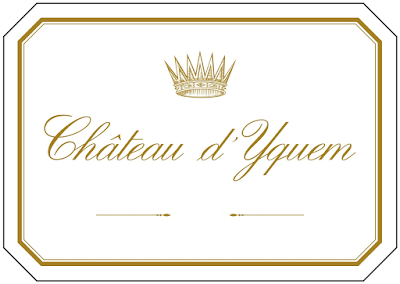 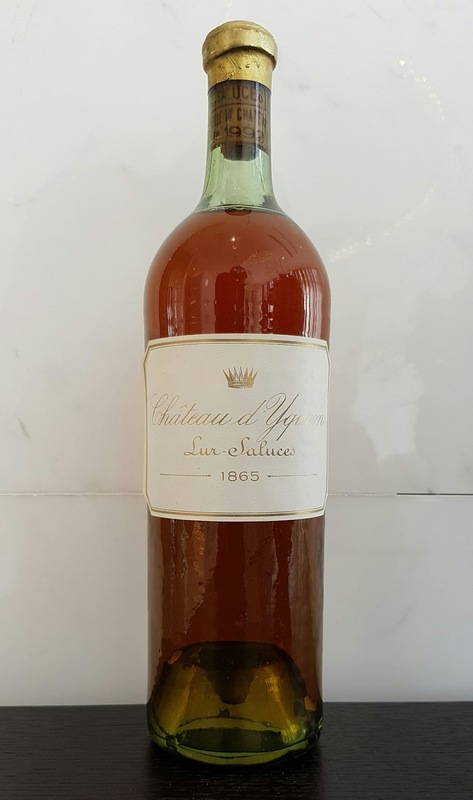 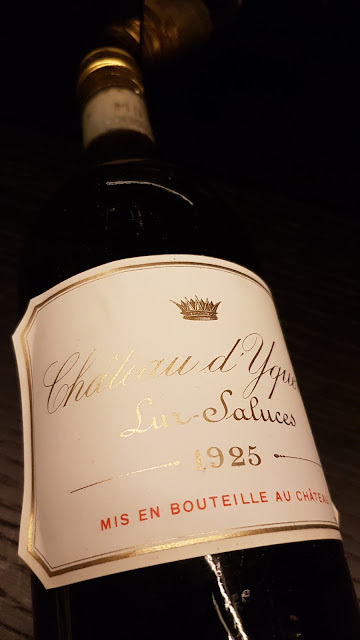 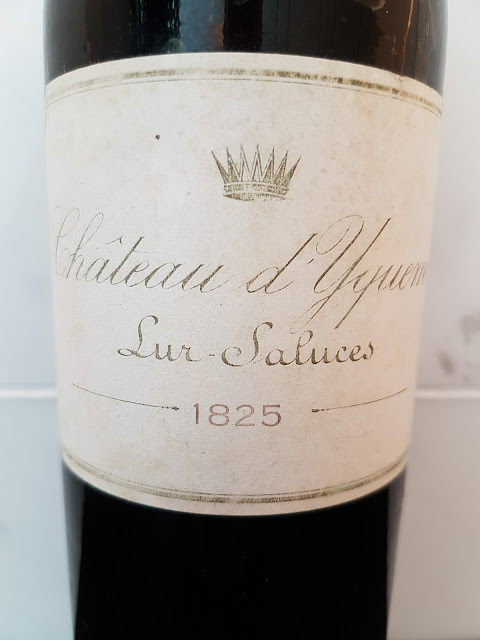 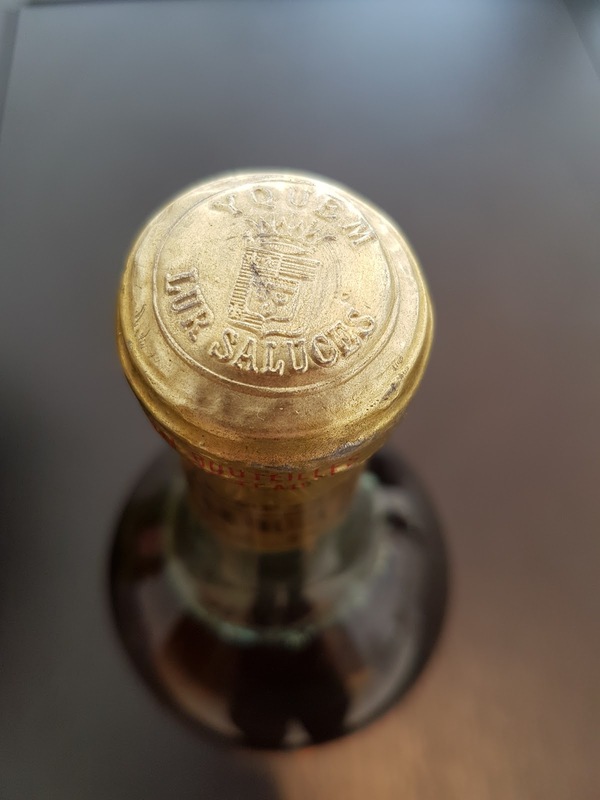 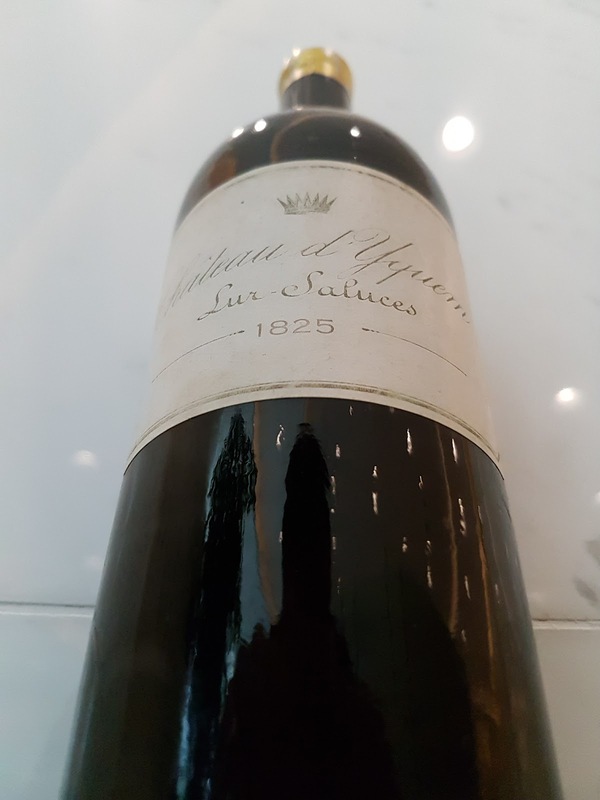 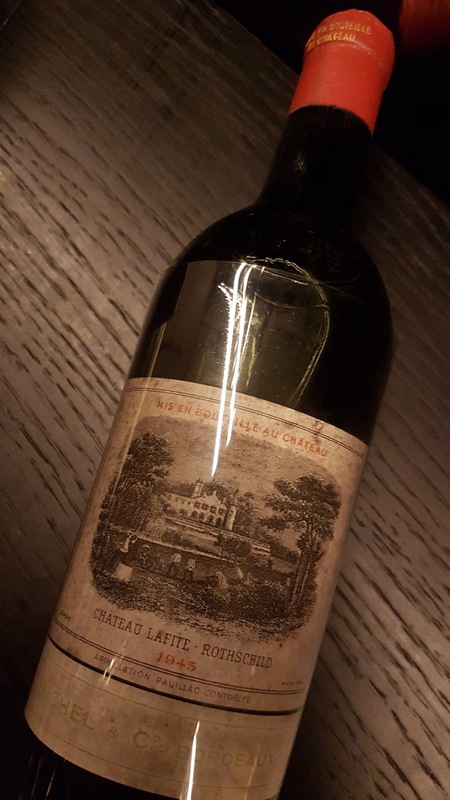 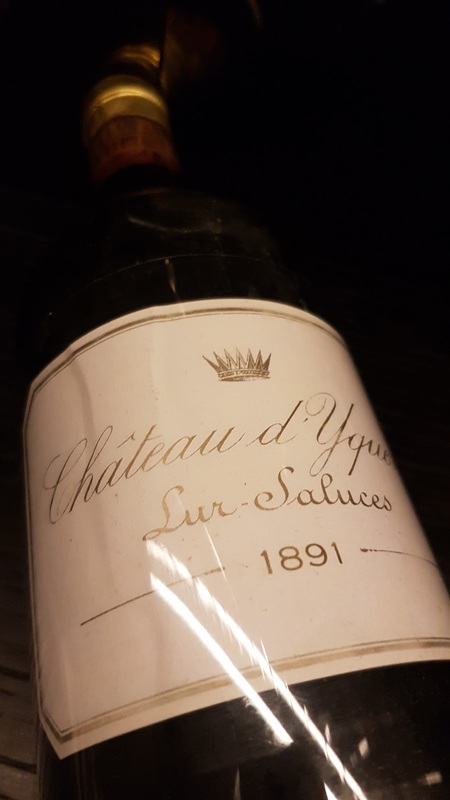 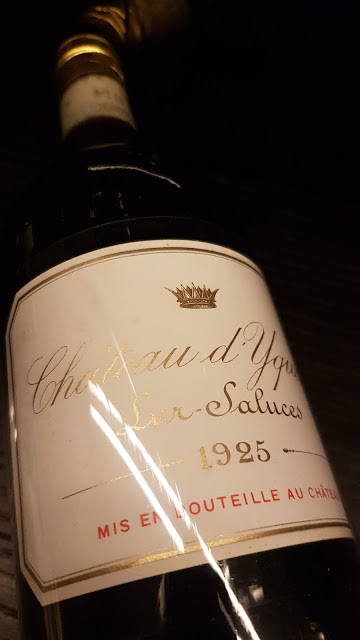 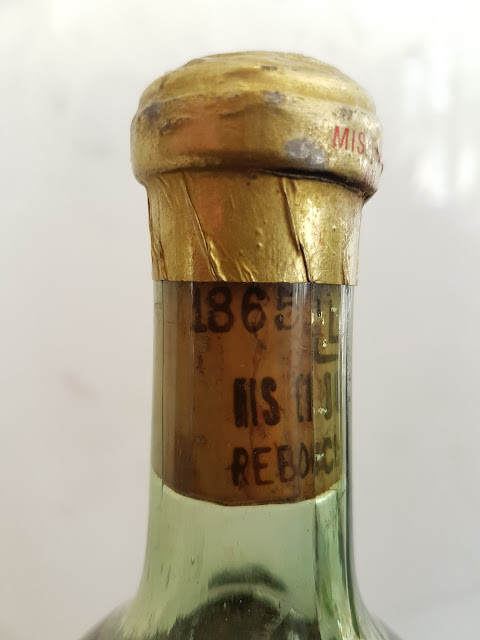 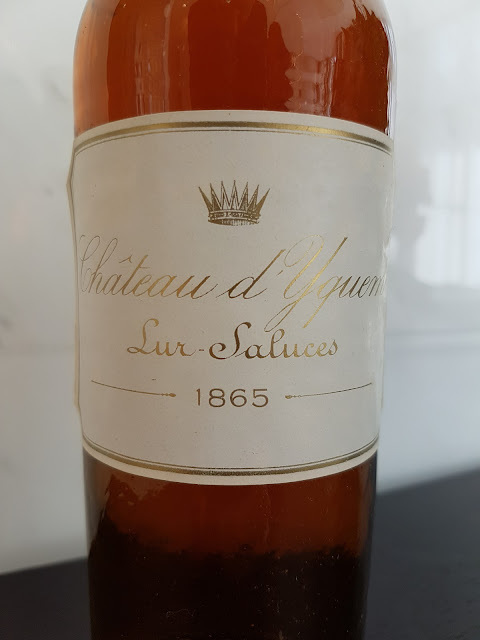 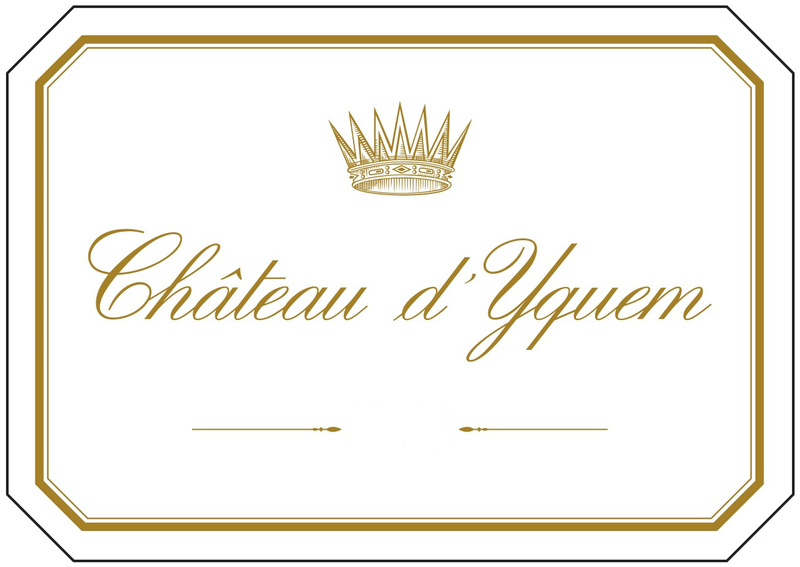 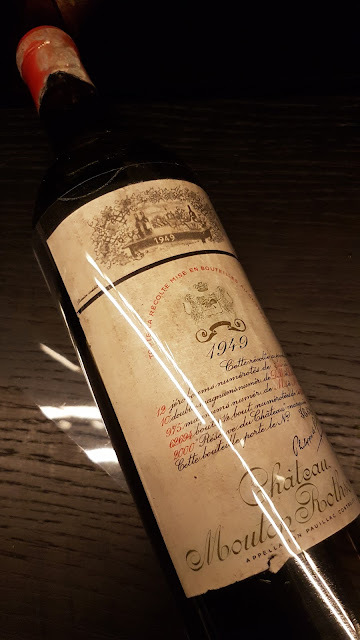 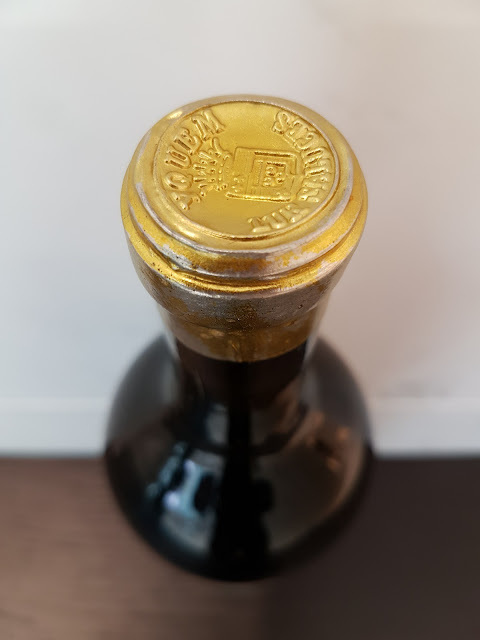 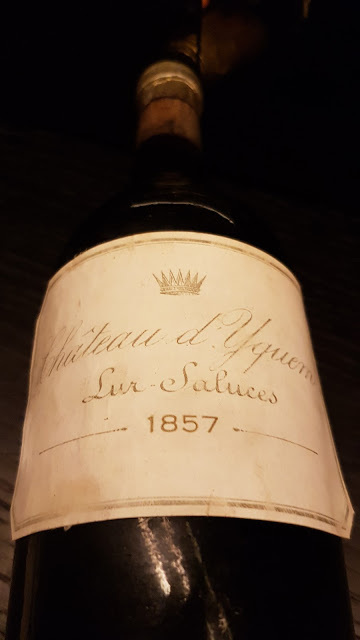 ...but more importantly, it includes one of the most unique collections of Chateau d'Yquem in the world outside the Chateau, dating back from 1825 to present with at least one bottle of each vintage produced in between (except between 1825 and 1856)..
For those of you who will notice the date on the cork of the bottle of 1865 at the bottom of this post and may wonder about the pristine condition of the labels, the bottles of this collection were reconditioned (relabeled, recorked and even refilled (for some)) some in 1992 (and some in 2005 I believe). 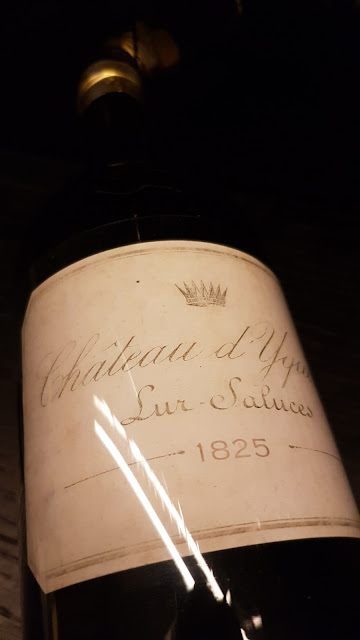 The Yquem Collection on display in the cellar represent 143 bottles in total, including136 bottles of a unique vintage from 1825 to 2007 (the collection was bought in Auction a few years ago and also includes magnum size of some of these vintages, which have not been put on display, but that are kept sacredly in one of our other cellars). 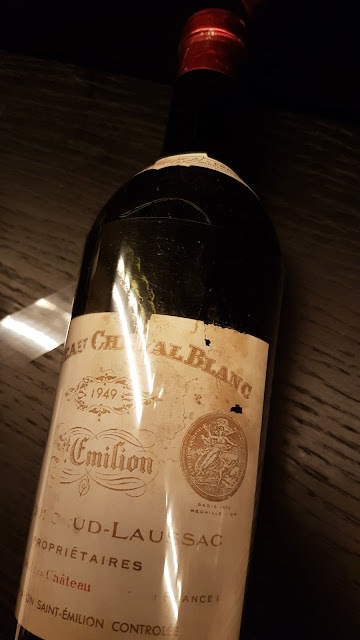 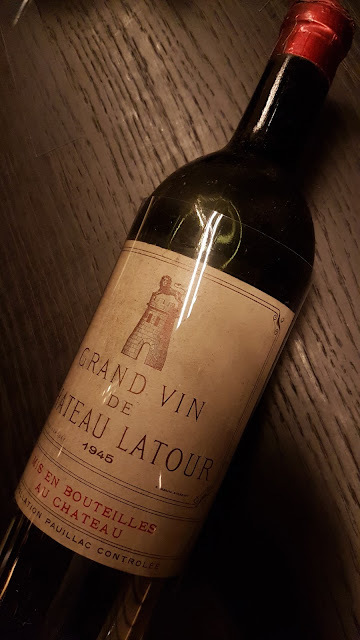 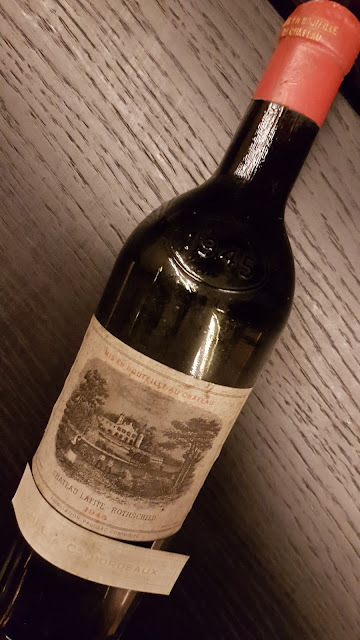 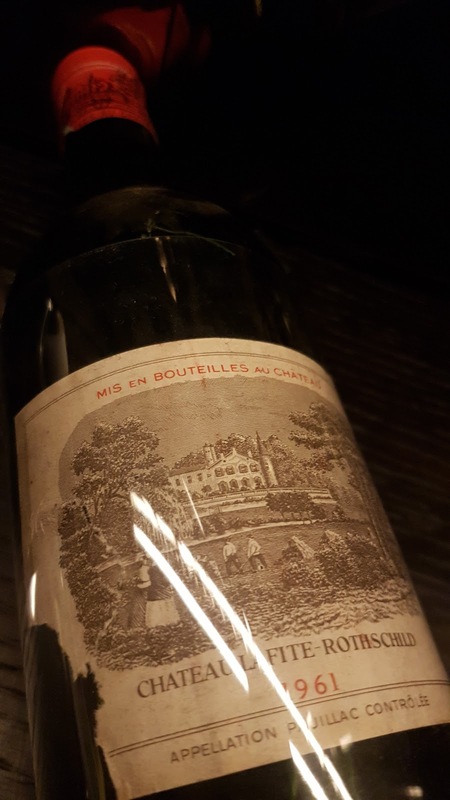 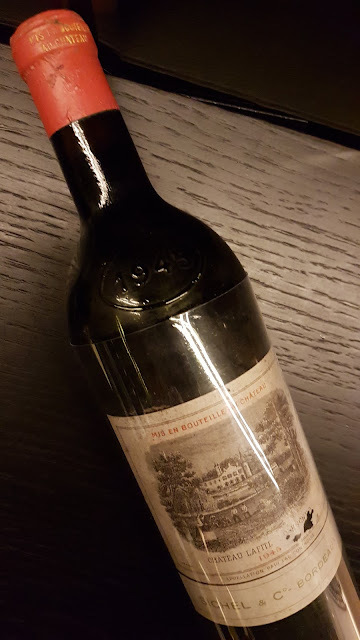 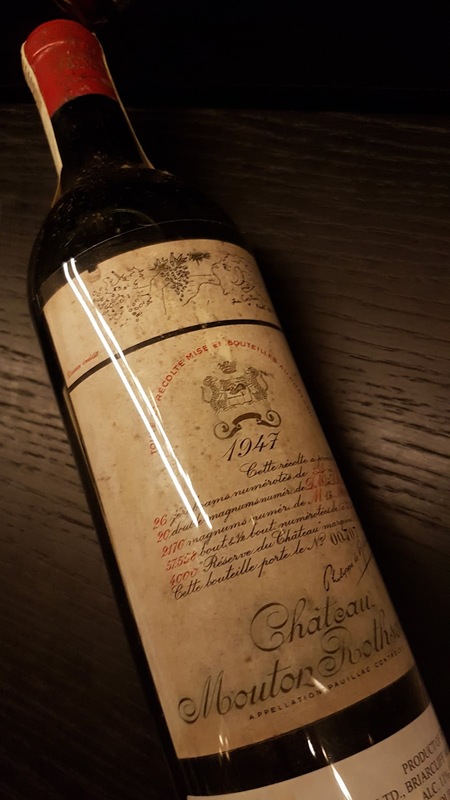 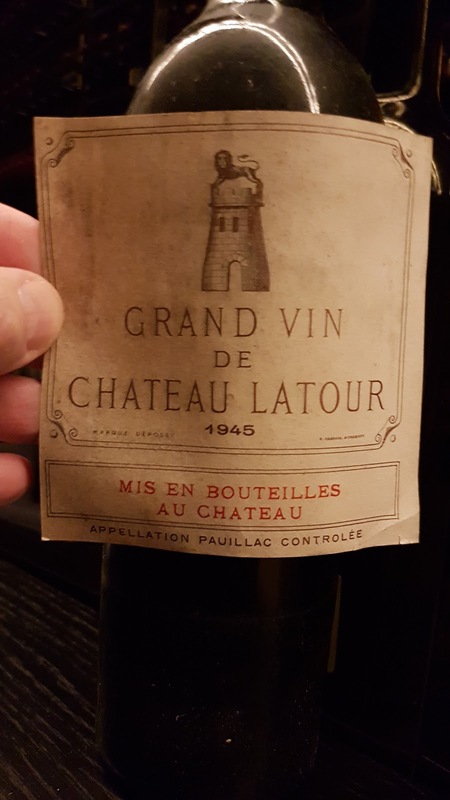 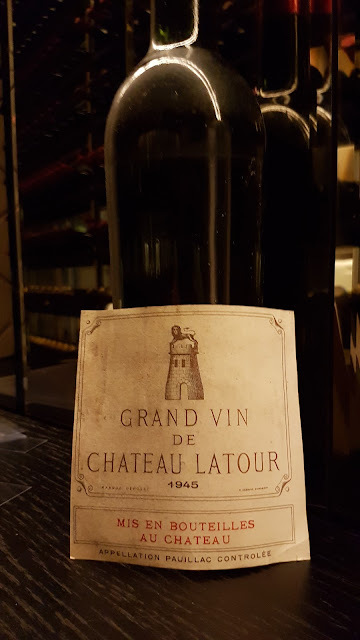 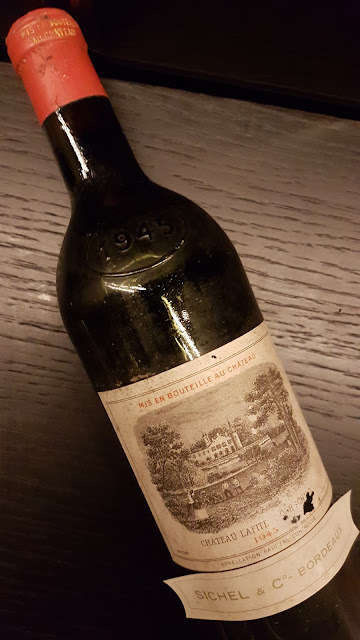 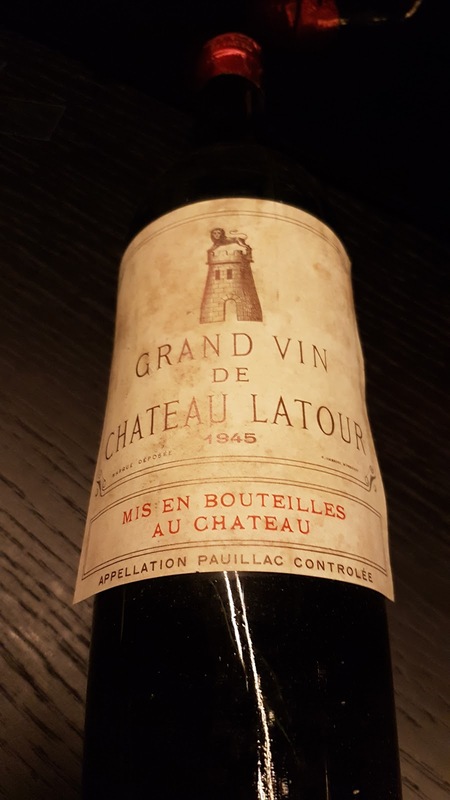 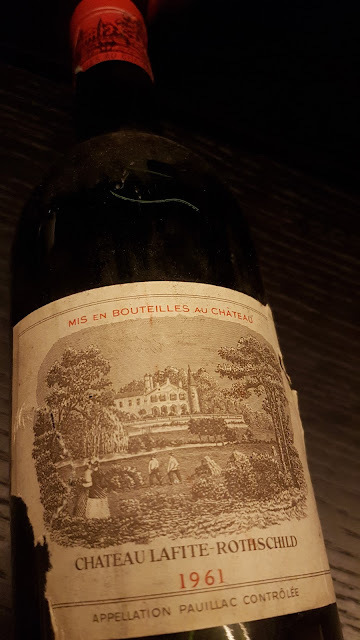 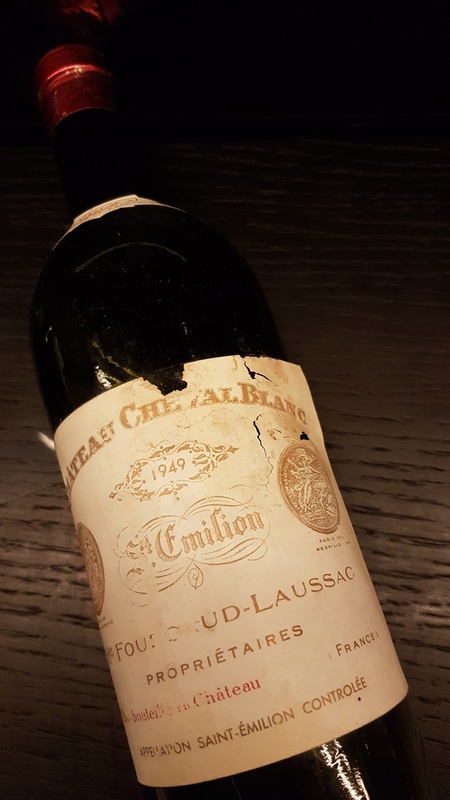 It is quite spectacular and amazing (I must say) to be able to see so many old and rare vintages in one place, more especially on display in a restaurant's wine cellar covering the entire wall of the corridor leading to the main dining room. 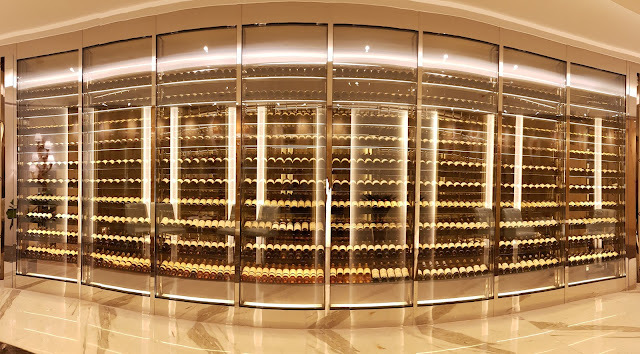 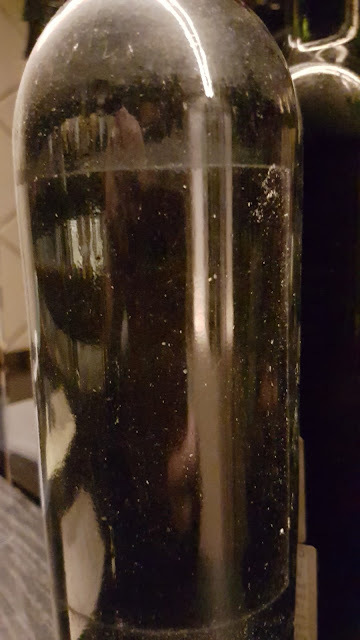 As Wine Quality Control Director for the company and Sommelier of my Chairman, I'm the gate and stock keeper of this sanctuary, this Ali Baba cavern full of Liquid Gold. 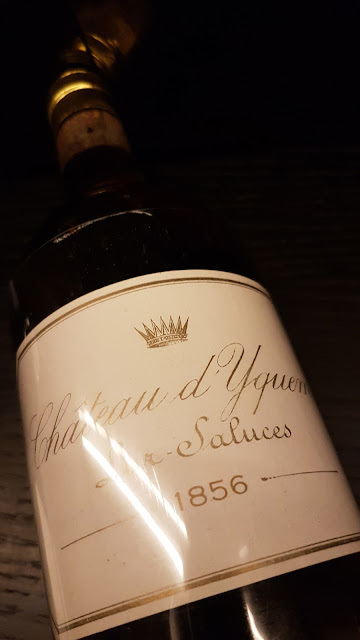 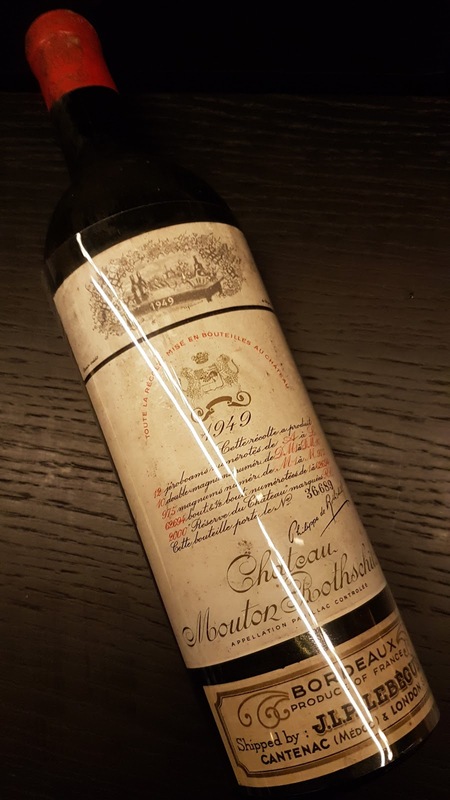 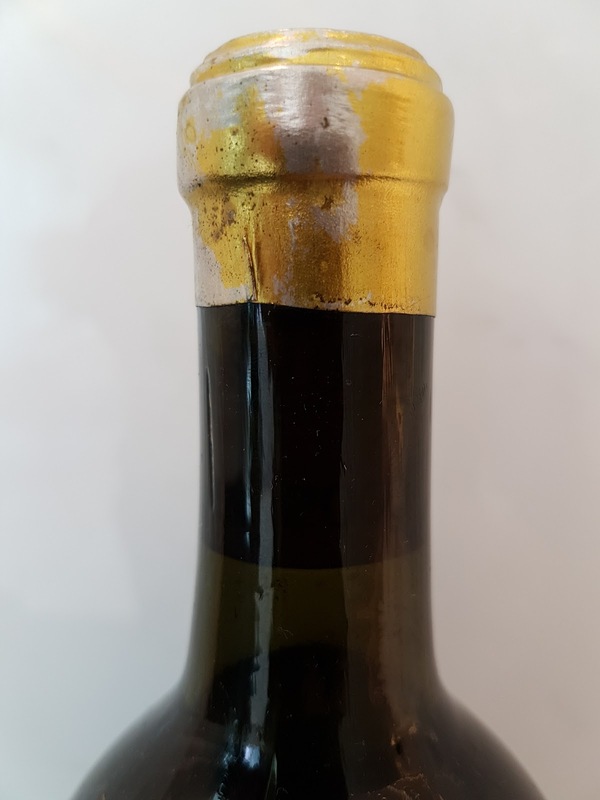 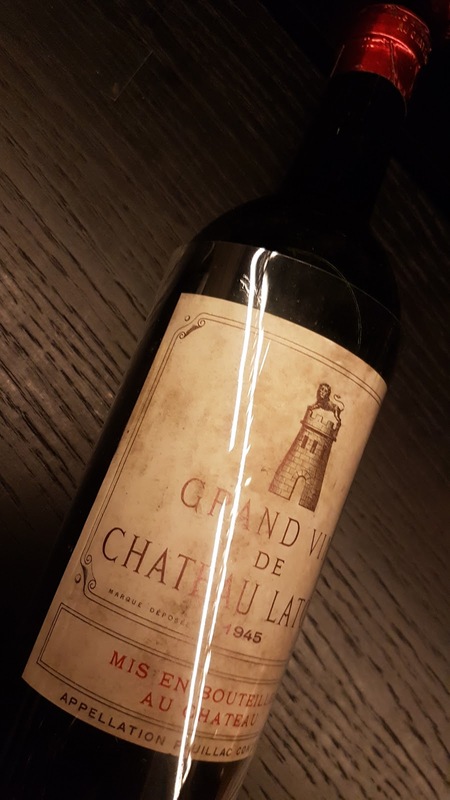 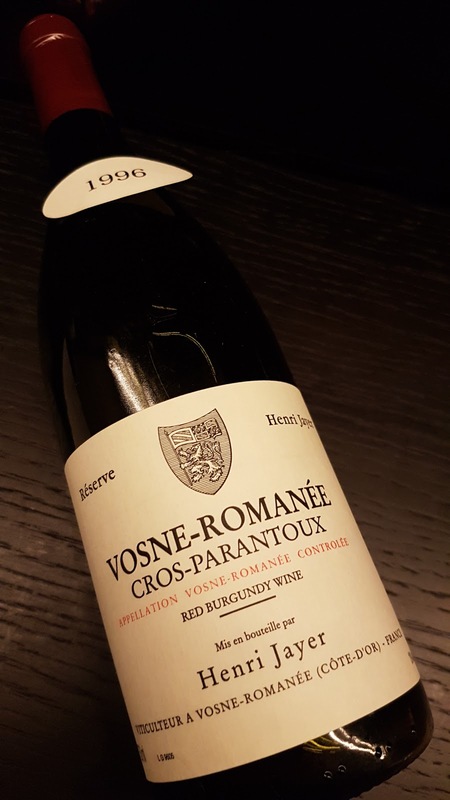 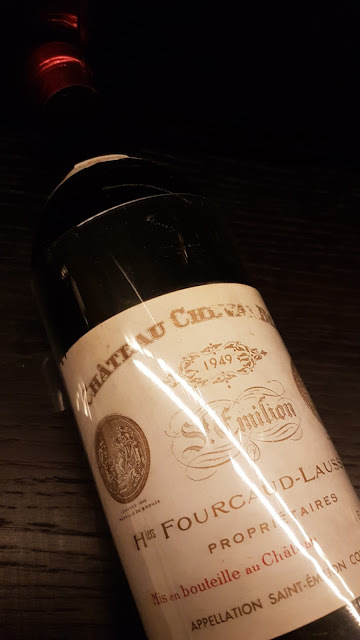 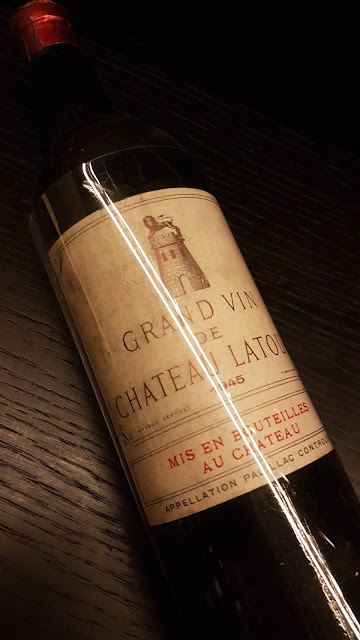 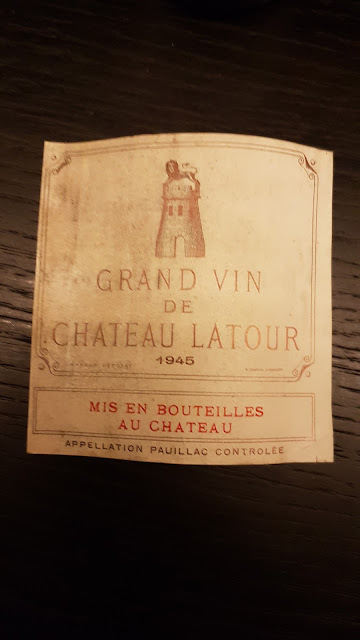 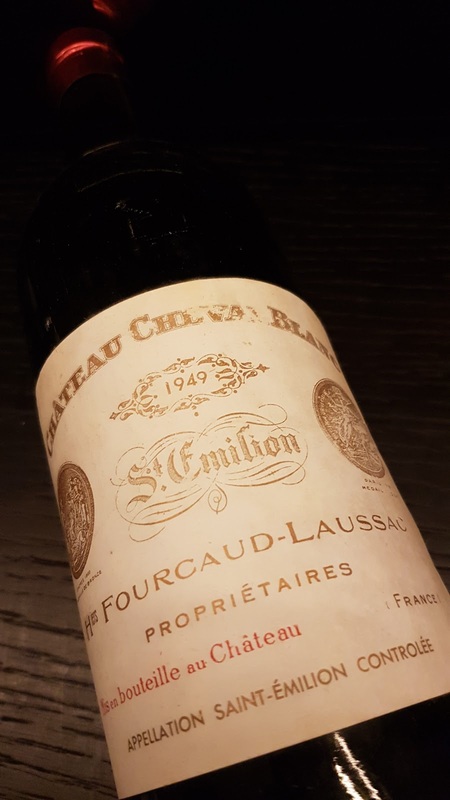 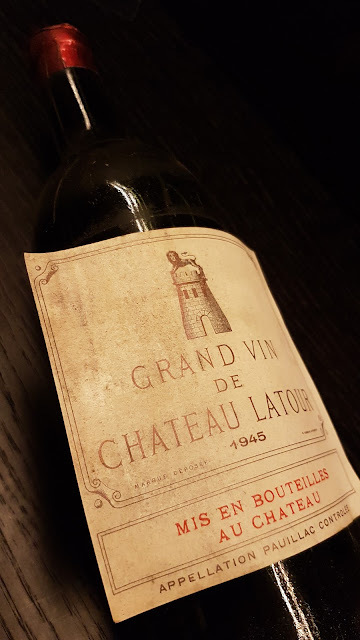 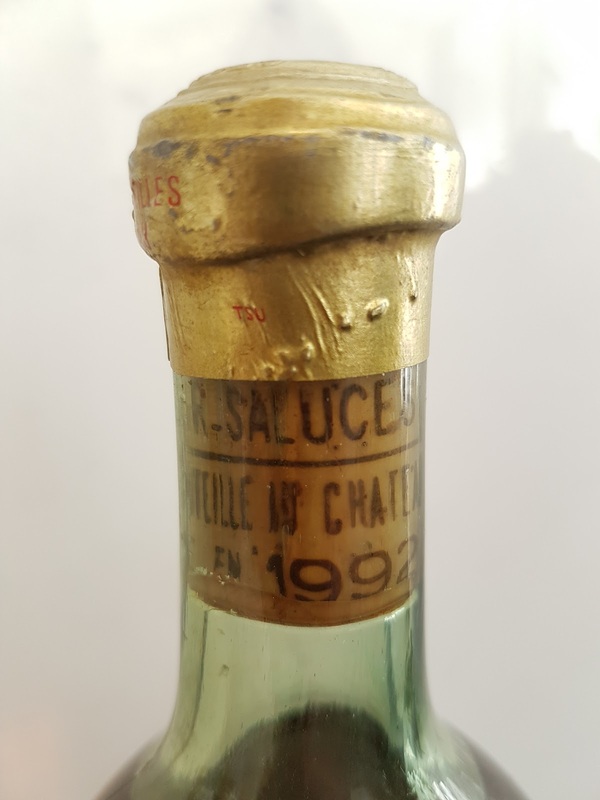 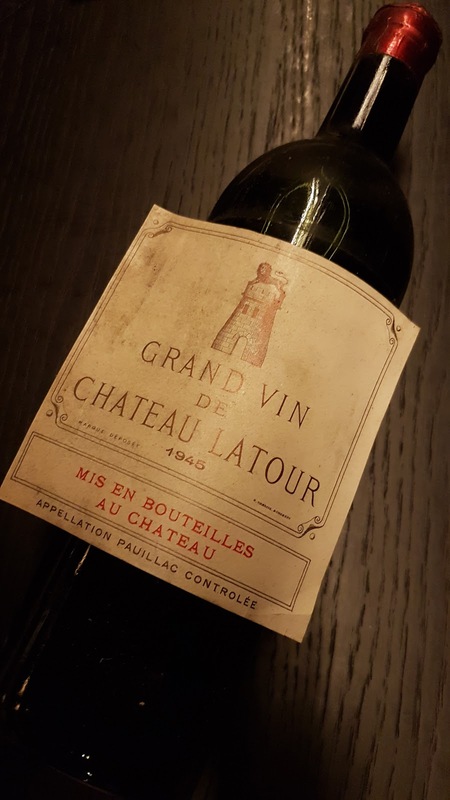 Therefore, I often visit the cellar and inspect these old and rare ladies to make sure they are aging gracefully and peacefully in ideal conditions and without getting harmed by external factors (i.e. 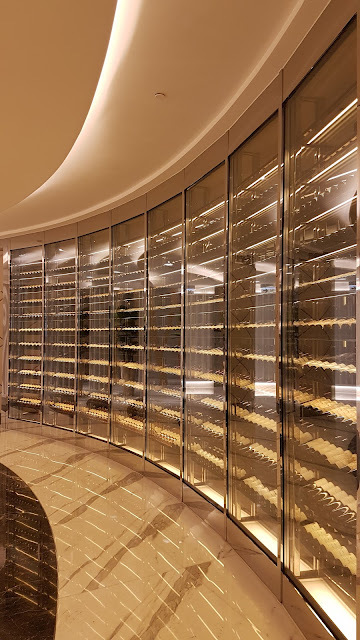 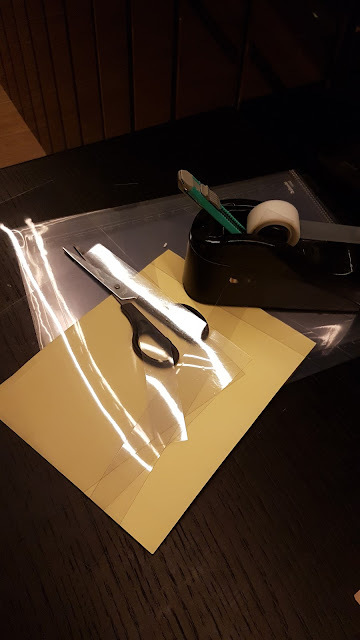 light, dust, lack or excess of humidity, unideal temperature variations, etc...) and do not present damage due to these factors (i.e. seepage, leakage, change of color, label, capsule and/or cork degradation).